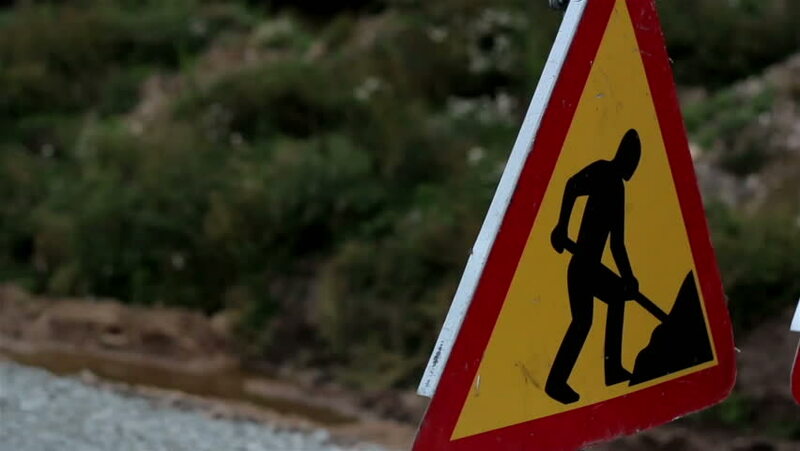 hd00:11Men working road sign at the side of the road to indicate and warn drivers to slow down since people are working on the road. A road is blocked with signage that it is still under construction. 4k00:08Road works street sign, Triangular. Next to a traditional red royal mail post box. hd00:24A young farmer is closing the machinery manually. He stopped working on the grass field.